saptha sthaanam is a the festival celebrated to mark the marriage of nandhikeswarar performed by the lord shiva himself. saptha – 7 , sthaanam – place. silladha maharishi prayed to the lord to be bestowed with a son. shiva instructed him to perform ‘puthra kameshti’ yagna. rishi did so to find a box in a field. the box contained an idol which had 3 eyes and 4 shoulders. when the rishi embraced the idol , it became a beautiful child. a happy rishi named the child jappyesan. however , a divine voice told that jappyesan only has a short 16 year lifespan. siladha rishi and his wife brought up the kid well versed in vedas hiding their agony. the kid reached the age of 14 and knowing his life will soon end that it is the reason for their parents suffering, jappyesan started severe penance in the surya pushkarini theertham of thiruvaiyaru. his penance was so severe that he was immobile for a long time that water creatures and fish ate his flesh only to expose him as bare skeleton. to bring back jappyesan to his original form. these 5 liquids gave the place ‘pancha nadham’ meaning the place where 5 rivers or liquids flew. many people wrongly think that it is the 5 rivers ; vadavaru , vennaru , vettaru , kudamurutti and cauvery that form the 5 rivers. imagine this ; these rivers are encountered only when someone travels from south which is thanjavur. what about people travelling from other directions to thiruvaiyaru ?!! you know the answer now..
after that shiva himself took out nandhi and his wife on a marriage procession after he performed nandhi’s marriage in thirumazhapadi. this festival is a grand festival that is performed on the chitra month visakam natchathram. the function starts with idols of iyyarappar and dharma samvardhini from sri iyarappar temple at thiruvaiyaru taken in a glass palanquin from thiruvaiyaru to thirupazhanam where palanquin with idols of that temple joined with this palanquin. 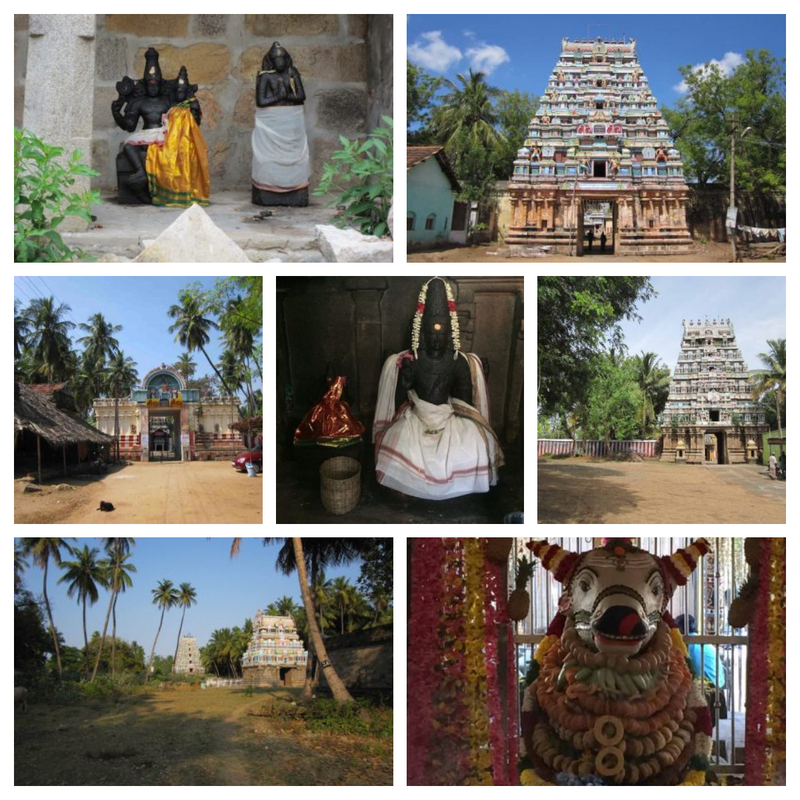 the two reach thiruchotruthurai from where they take the palanquin of that temple to thiruvedikudi. from there, they go to kandiyur. from kandiyur, the palanquins reach thirupunthuruthi and from there they reach thillaisthanam. they will stay there for night. on sunday morning, the palanquins will start and reach thiruvaiyaruy one by one. bommai poo poduthal (doll offering flowers) will take place on sunday. after the palanquins will reach iyarappar temple. later, they will move to their respective places. all of this procession happens by foot. no vehicle or other transport is employed. come and lets celebrate these beautiful traditions not known much to outside world by being there every year on the chitra pournami date.